Microsoft Bing Ads Editor is an easy-to-use desktop tool to create and manage Bing Ads online advertising campaigns. It will streamline your search campaign management - online or offline and allows you to save time and improve the performance of your search marketing campaigns. Using this editor you can make offline changes or additions to your campaigns and later sync and upload it online when ready with one click. Bing Ads Editor allows you to directly create campaigns, edit ads, and manage millions of keywords at once. Plus, efficiently manage URLs, ad copy, budgets, bids, targeting and ad extensions. Moreover, it offers multiple-account management, גownload multiple accounts at the same time, copy and paste from one account to another, and perform multiple Google Imports simultaneously. The tool also allows you to transfer your account data with Google Import directly into Microsoft Bing Ads Editor. Similar to Bing Ads, Google also provides a desktop tool called Google AdWords Editor, to manage campaigns offline. The Manager pane in Bing Ads Editor provides several predefined views that can help you more easily find specific data related to your campaigns. For example, you can quickly filter your campaign data to show only those campaigns that have been paused. Or, you might filter your campaign data to show keywords that have been disapproved through the editorial review process. Get changes from your online account. Research keywords and negative keywords for your campaigns and ad groups. Please note that you will be able to run Bing Ads Editor 10 and 11 side by side since Bing Ads Editor 11 is built on an entirely separate code base. 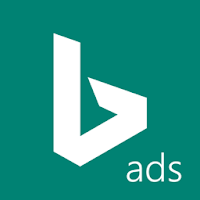 Each Bing Ads Editor release offers important new and enhanced features designed to help you connect with your target customers, boost campaign performance, and improve your ROI. Focus on the customers that matter most with even more location targeting options! With the addition of county location targeting, you can now narrow in on an audience to a U.S. county to enhance your reach towards specific customers. Disclaimer: Direct downloads for the lastest version of Microsoft Bing Ads Editor 11.14.2996.2050 are provided by the official software's author, we can't guarantee safety, availability or download speed. Moreover, we don't and we won't provide any pirated/illegal versions or tools. We recommend you to avoid it as these methods can harm your device. If you like the software, buy it to support the developers. (We provide software discounts for many worldwide brands).